It has been more than 3 months to release a team report since all the team members were fully occupied on working, travelling but most of all practising on the major events for March to June 2016 time period. Starting with the MES private league (http://hrteam.gr/portal/2016/hellenic-racing-to-participate-to-mundogt/), HRT decide to participate with the brand new Audi R8LMS in order to get a feeling how the car behaves and potentially use it in other official races. On the first race we started the race from the P14 but we finished only on the 21st place after an unlucky moment during the race that cost us quite a big time in the pits. For the second race we headed to Europe and the famous track of Spa-Francorchamps. If we said that we were unlucky in Suzuka there is no word to describe the level of unluckiness in SPA. During the second stint we had a major impact, with an opponent car, which resulted into a forty minute service. After that our pace was at least 1.5 sec slower compared to the first teams and the 27th position was a natural outcome. Next stop of the championship was the home country of Ayrton Senna and the famous track of Interlagos. The team performed much better and that is reflected in the final result of the 9th place. No bad luck, no surprises but a bit of a slower pace gave us the 9th position. If there is a positive out of the three first races, is the familiarization with the car and the ability to create better setups. That has been clearly reflected in the last race of MES in Daytona. 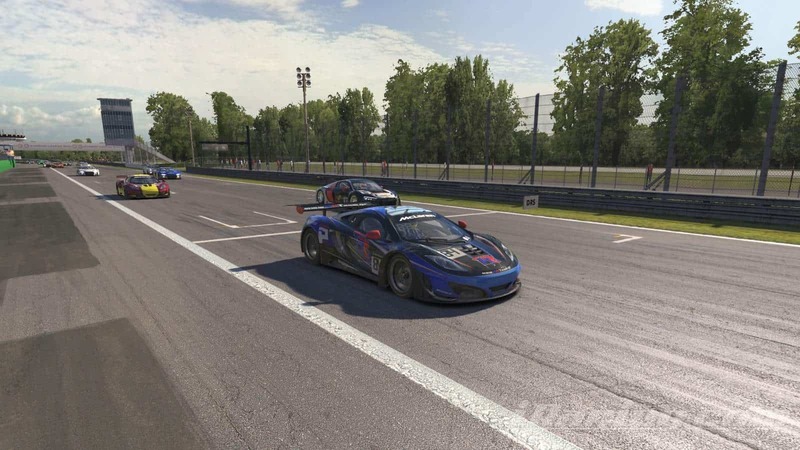 Despite some FPS issues that we had during the second stint, we manage to finish 6th. A. Perrs drove for 5 hours and he managed to capture the 6th P on the last “centimeters” of the race. Not even the move of the front driver to go below the yellow line, seconds before the chequered flag, was enough to avoid overtaking him, literally at the drop of the flag. Moving to the official events let’s start with the 12 hours of Sebring. The commitment of the team was unmatched compared to any other event during the last year. If you recall, we were practising for the race for almost two months and we decided to split in two teams based on the iRating and the lap times of the members. Hellenic Racing raced in pool 1 and Hellenic racing AM in pool 3. HR AM started very well the first two stints moving from P5 to P3. On the third stint though, an unforced error drop us to P9 and after that we managed to incline two positions. Unfortunately the pace was not very fast, because of the accident, and P7 was the best it could have been achieved. Hellenic Racing Team started only 42th and on top of that, they never managed to have a pace equal to the front runners and to the one that we were practising for two months. Nevertheless they never gave up but few laps before the 6th hour, a driving mistake send them outside the track. From there and on it was just a matter of finishing the race, in the 33rd place. The whole month of May was devoted to the preparation of the current race. We can easily say that is not just a race to win but a race to survive. The decision was to have two teams, one on the Ruf C-Spec and one on the Audi LMS R8. The team on the C-Spec raced on pool 3 where we started from the 2nd P on the grid. After the first stint and an incident that cost us 2 min toe and 2 min in the pit lane we returned to the track on 16th P. The next 3 stints were uneventful and gave us the opportunity to even aiming for the 3rd position. Unfortunately two technical errors on the steering device of Pavlos, both times on the inlap, limited the chances to finish on the podium. The Ring though is not a race track that you can relax and some, good for us but not for the competition, incidents put us back into the game. C. Panoulas, K. Giagias and L. Tzivelekis did a marvelous job on the last stints, with no major mistakes and the P4 came quite natural. For the 6 hours of Glen we formed three teams. Hellenic Racing drove the Mercedes GT3 and they finished in the 15th P besides the fact that their pace was for P10 or above. The major issue was a misunderstanding between the two drivers regarding the brake balance which leads to a slower pace for the second driver. That and a wrong calculation of the entry speed for the first part of the bus stop chicane, two hours before the end of the race. George was trying to do his best in order to “straight” the heavy front engine German beast, gave the opportunity to another class car to lift and rotate us in a spectacular way. Both driver and car managed to reach the pit and stayed there for a good time to prepare a light dinner for 4 people and lose at least 10 mins. The other two teams decided to compete with the Ruf C-Spec and run together in the first split of the third time slot. First team managed to finish 2nd but they never manage to challenge the pace of the first Ruf of the pool in the first 3 stints. In the last 3 stints and with better pace we managed to finish only 50 sec behind the first car. For the second Ruf the outcome was quite close in terms of position as they ended 4th in the same pool. In terms of time though, several network issues force the team to be far away. We would like to thank our sponsors, Pallas Market (http://www.pallasmarket.gr/) & DynamicSimRacing (http://www.dynamicsimracing.com/) for all the support.